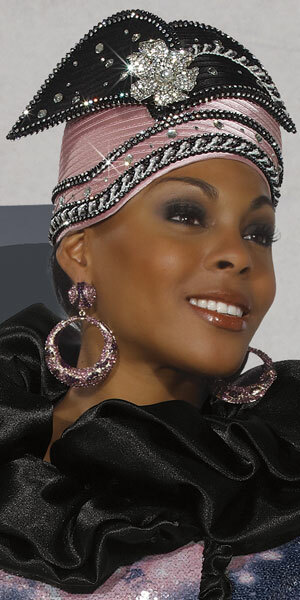 Church hats for women have always created uproar in the fashion industry of the West. Whether a girl in her teens or a woman in her 30’s or a woman in her late 50’s and above…everyone desires to have the best church hats in their closets. At older times, it was a tradition to wear church hats for Sunday prayers but many women wear them to their work places. Church hats not only give you a stylized look but they also define your personality and help you in maintaining your individuality. 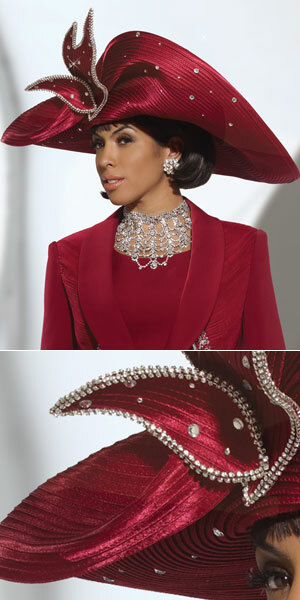 Church hats worn with the church suits give us that much envied look which all women desire for. The point to remember here is that we should be able to choose the right church hat with our church dress. 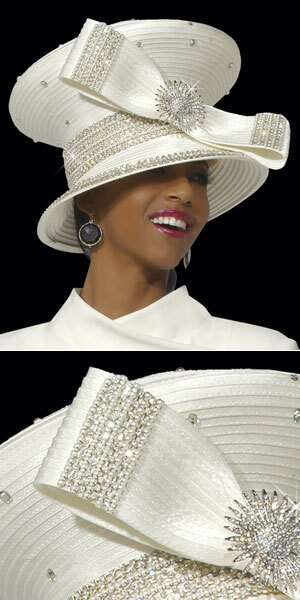 With your right church hat to complement your church suit, you are surely to turn many heads around. Church hats for women have epitomized womanhood. In the early 20th century, black African American women, who were mainly employed as domestic helpers and for other menial jobs got a chance to get out of their dreary, boring outfit and put on something vibrant for their Sunday prayers; they would make their look gorgeous with a showy church hat. 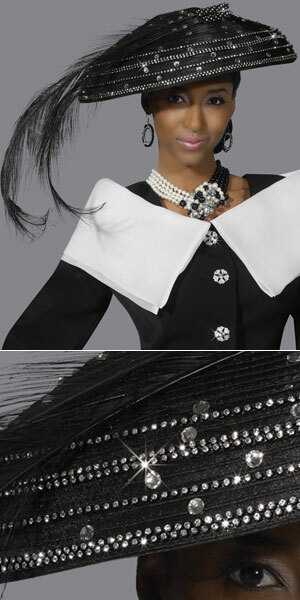 Elegant outfits with church hats also represented respect, faith and reverence for the Almighty. Church hats were also connected with status symbol of the women. The moment the women would start earning, they would start making their own collection of hats, as was mentioned by Audrey Easter, an owner of a boutique in the book “Crowns”, written by Michael Cunningham and Craig Marberry. Easter and Mothers’ days are the two occasions when women bought church hats for themselves. Many women would spend as much as $100 to $1000 and above to buy a church hat, as reported by the “Times”. Thus we see that church hats for women have been able to hold its importance in women’s life since the early 20th century. The recent trends show that church hats are here to remain and with wide variety of styles and designs, they will always hold that special place in the hearts of women. One can find church hats at garment shops but chances are that you might not be able to find the best church hat for yourself. However, the millinery shops are good options as they provide you with customized church hats, depending on your choice of design, colour and adornments. But the problem with the millinery shops is that they are only to be found in the big cities. However, you can always visit our online shop at our website where you can find church hats in variety of colours, designs and with myriad types of adornments. The best part of buying the church hats from here is that you can match your church hats with your church suits at our online store as we offer you both at huge discounts. So here you go…..pick your church hat and be the centre of attraction…. Women wear special dresses on their Sunday prayers as the day has not only religious but spiritual connotation attached with it. The church suits for women represent humbleness and their belief in their Almighty. The church suits represent purity, gratitude and their faith in resurrection of Christ. From times immemorial, women have had a special place for their church suits. Women have kept their nicest dress for their Sunday prayers and have taken a lot of care in keeping them intact with their colours and fabrics. This legacy has continued till date. The relevance of church suits has grown with time. Women of all age groups want to dress up in their best outfit for their Sunday prayers. The regular online search for church suits for women and the curiosity of women to know the various types available for their church suits testify this fact. The church suits for women are available in various colours, designs and styles. The fabric of the church suits also varies depending on the season in which they will be worn. Wool and wool blends are mainly used for winters and springs, while linen and other light fibres are used for church suits to be used in summers and autumn. Coming to the colours of the church suits, you can find them in plenty of colours ranging from solid colours like black, red, navy blue to lighter shades like light blue, pink, white and so on. Many a times you find them in two or more shades. Choosing the right colour of church suit depending on your skin tone is very important. But it is not that difficult as you can get many tips on that either at the departmental stores or at online stores selling church suits for women. For instance, a woman with dark complexion prefers wearing bright coloured church suits since they lighten their skin tone. On the other hand, a fair woman can go for light coloured church suits to get an elegant look and a bright coloured church suit to make her look classy and stylish. However having said so much on colours of the church suit, it must be noted that all women must have one white church suit in their collection. The colour white stands for piousness, peace and a white church suit is best suited for the Sunday prayers and other church activities to have that divine connectivity with the Almighty. Also, you can wear white at any occasion including the informal ones with a little change in your outfit and accessories. For instance, you can change the colour of the blouse and wear it with a white skirt suit. The other advantage of having a white church suit for women is that you can wear it even when you are 80+ as the colour white is timeless. Church suits are available mainly in three types: pant suits (with or without jacket), skirt suits and dress suits. So go for the one that best suits you. But remember to put on a church hat matching your church suit to get that perfect look. Posted in Church Suits, Fifth Sunday Hats.